Cavalcade of Lights - Little Italy College St. Kick off the Holiday Season in Little Italy! 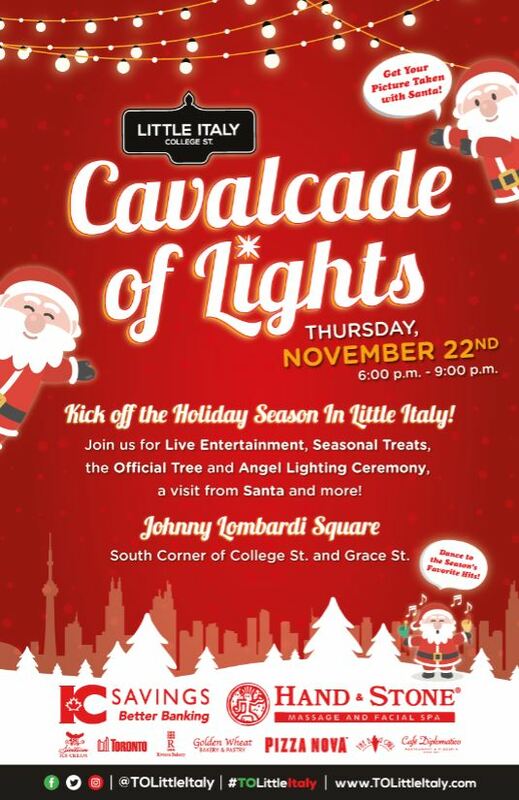 Join us for our Annual Cavalcade of Lights and Angel Lighting Ceremony! 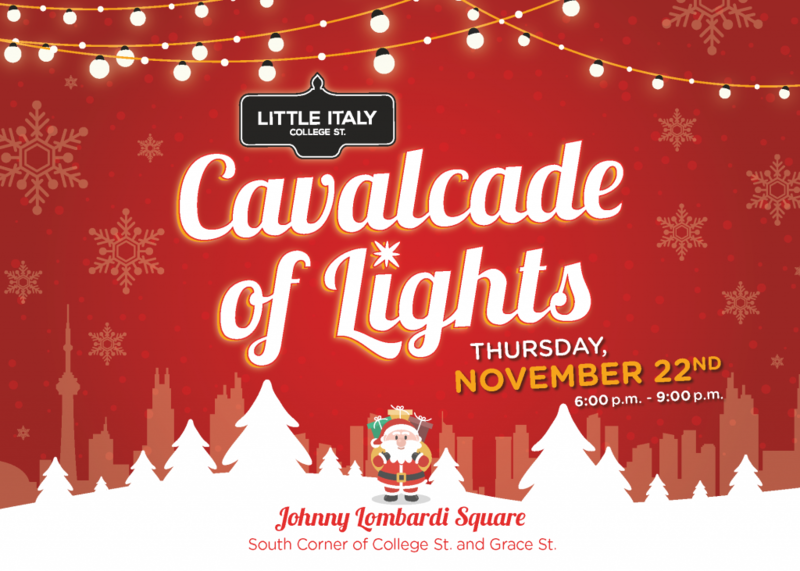 WHEN: Thursday, November 22, 2018 from 6:00 p.m. – 9:00 p.m.
WHERE: Johnny Lombardi Piazza, South Corner of College St. & Grace St.
A light-up juggler, a dance show and more! Click here to browse last year’s photo album!